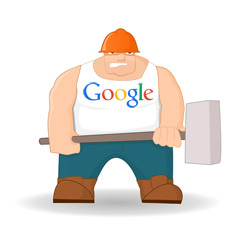 Yesterday, Google posted a stern warning on the German Google Webmaster blog telling webmasters that you will be penalized for unnatural links. Matt Cutts then Tweeted the same warning saying "A reminder (in German) that paid links that pass PageRank violate our guidelines." This comes the week after Google took action on a French link network, where Matt also dropped a hint on German link networks getting hit as well. The question is when will German SEOs take notice of this? Which networks will this impact exactly? How much of an impact will this have on SEOs? Former Googler, Pedro Dias tweeted that he thinks this is going to target "German Newspapers that sell links." But I am hearing from others that these are much larger than just newspapers, but massive link networks in Germany. Anyway, as I said before, Google likes to issue warning after warning and then issue notices and then ranking impacts - why? To break their spirits.